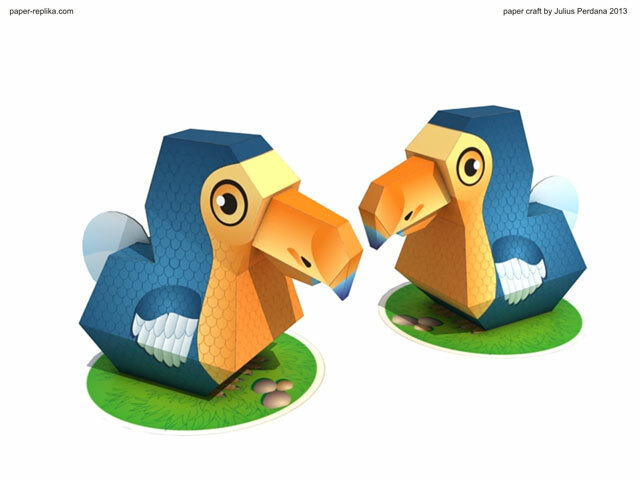 Dodo Bird Paper Craft	. Assembly the parts in sequence : first cut the circle base (part 1) and then assembly the bird body (part 2). 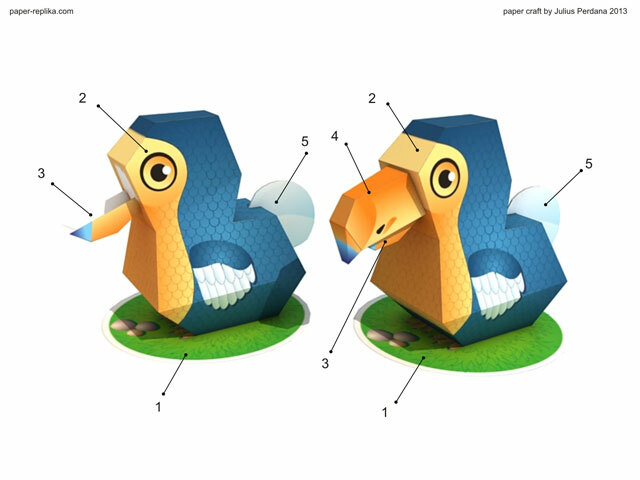 Attach the lower beak first and then put the upper beak. Finally put its round shape tail.